Bring out your inner charm with Maevn's V-neck top. Featuring front and back darts for added shape, two lower patch pockets with a signature logo, a loop pen pocket; the top caters precisely to your storage needs. Moreover, a two-way fold-over sleeve with dyed-to-match button and a contrast inner beauty print at sleeve cuff and neck facings make it a steal for the price. Q ) what size is this particular model wearing ? 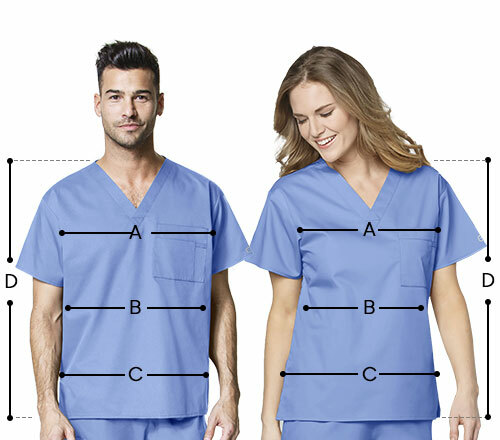 A ) The model is wearing a Medium size scrub top.